Those who say beauty does not last clearly do not know about Artemide, a world leader in interior design which creates timeless objects selling nothing but light. Founded in Pregnana Milanese (Milan) in 1960, Artemide transformed something as evanescent as light into an everlasting legacy. A flick of the switch is all it takes to turn on the magic and bring to life interior masterpieces such as Eclisse (1967, by Vico Magistretti), Tolomeo (1989, y Michele De Lucchi and Giancarlo Fassina), Pipe (2004, by Herzog & De Meuron) and the collection IN-EI (2014, by Issey Miyake). 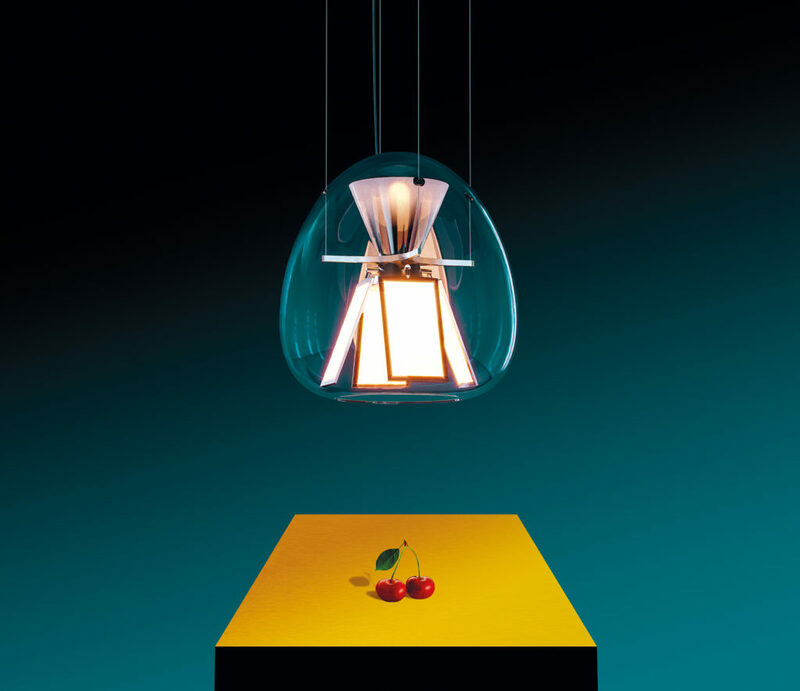 These creations by Artemide were decorated with the prestigious Compasso d’Oro award for industrial design and with several other international prizes over the years. 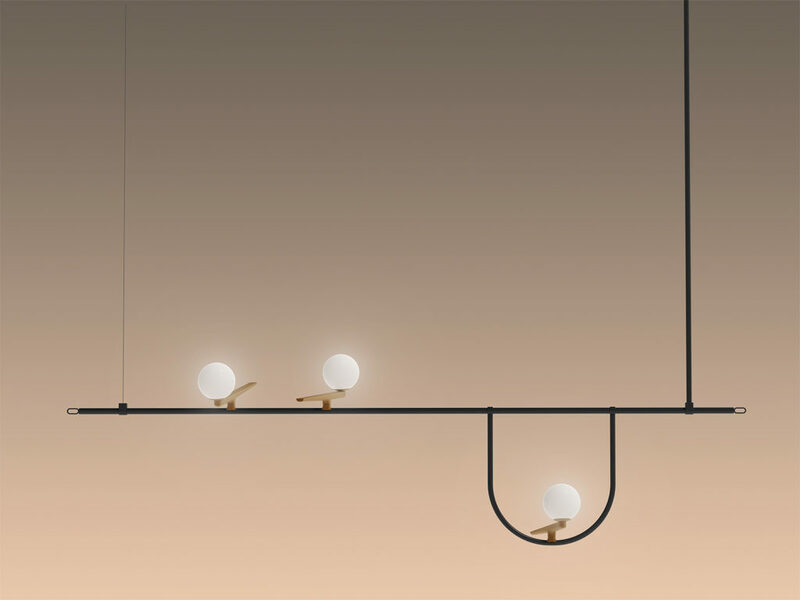 Artemide’s creations are exhibited in museums of the likes of MoMA (New York), Metropolitan Museum of Art (New York), Victoria and Albert Museum (London), Museo Nazionale della Scienza e della Tecnica (Milan), Galleria Nazionale d’Arte Moderna (Rome) and Centre Georges Pompidou (Paris). Known worldwide for its pure and innovative design, Artemide uses eco-friendly materials and envisions sustainable progress where light serves men’s everyday needs. In the ’90s, Artemide and Carlotta de Bevilacqua launched The Human Light movement, with the aim to physically bring light into everyone’s life and mould lighting on the shape of our habits. 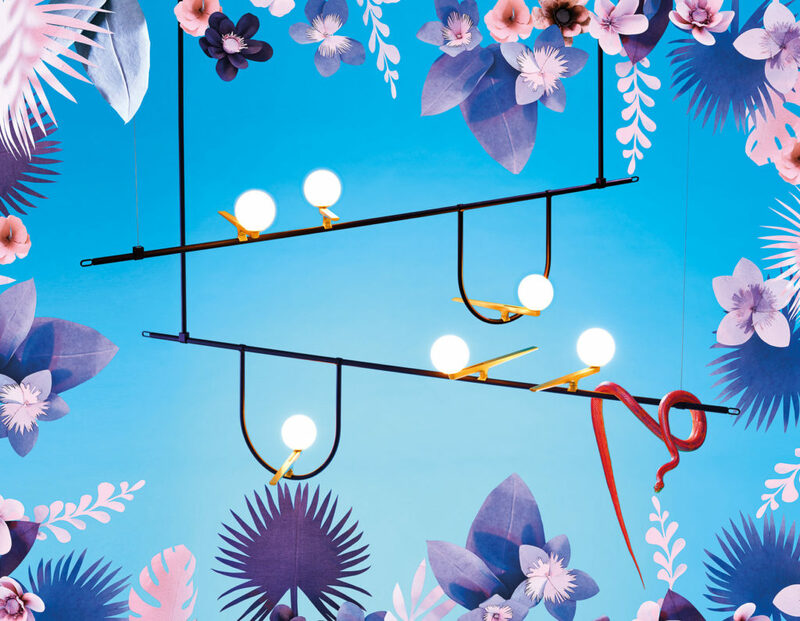 Artemide is at the service of people’s welfare, reshapes human spaces and respects the planet. Since 1960, Artemide has been a trailblazer in design and materials. 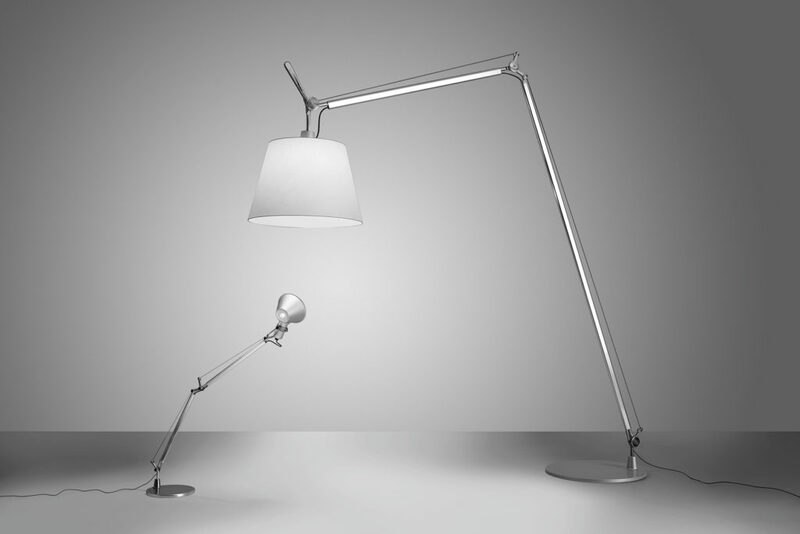 In 1986, the Tolomeo lamp changed the industry of desk lamps with an innovative system of springs. The cooperation with some of the world’s top designers and firms produced game changing articles like the graceful, floating Mercury, the fluid Aqua Ell by Ross Lovegrove, and the fine Cadmo by Karim Rashid. 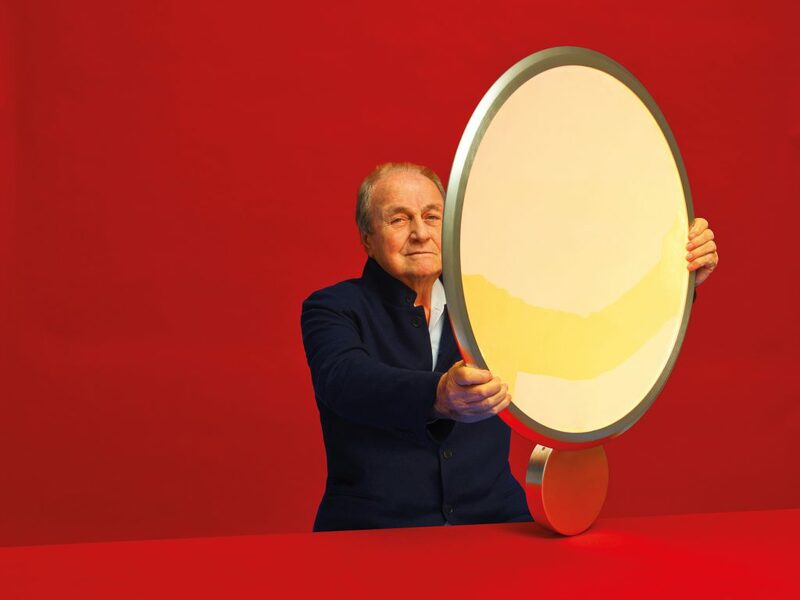 Ernesto Gismondi is the man behind Artemide’s grand success. Aeronautical and missile engineering graduate, he co-founded the brand with designer Sergio Mazza, and became an icon of international design in the avant-garde group ‘Memphis’. He collaborated with some among the most successful creative minds globally and fostered exquisite improvements in the world of design. As a designer, businessman and think-tank, Gismondi received the Ernst & Young award “Businessman of the Year” in the category Innovation (2008) and Communication (2009). He was also appointed Cavaliere del Lavoro by the President of the Italian Republic Giorgio Napolitano. Artemide CEO, Ernesto Gismondi, and the Discovery lamp. ©Pierpaolo Ferrari. After your formation as an aviation engineer, what brought you into the residential illumination sector? My architect friend Sergio Mazza and I wanted to do something aesthetic, so we decided to ‘make light,’ and founded Artemide in Milan in 1959, from almost nothing. I was involved with production while Sergio was into the design. We wanted to create simple, smart, affordable appliances, at a time when the market lacked them. Lighting fixtures then dated back to before the war. We turned to the most influential Milanese architects at the time, and fifty-eight years later, here we are! What does Artemide’s success depend on? Cutting-edge technology, innovation and original design. Our strength has always lied in research and innovation – 6% of our turnover today goes into it, allowing us to face new challenges such as the LED revolution. We are always looking for improvement, not just novelty. Having production control at every step is what allows us to maintain the quality of our products, all Made in Europe. How did your work with the Memphis Group set new trends and standards in interior design? The Milan I love to remember is that of the Memphis design group experience. At a time when the interior designs was gray and dull, Ettore Sottsass set up a unique team to subvert the rules. We questioned everything, and each contributor was given great freedom. We brought color into homes and furniture. It was a breath of fresh air. Ettore loved the aesthetics, I the mechanics: it was the whole package. “Proportion, functionality, technology. All must meet the needs of modern living, with a functional beauty” ~ Ernesto Gismondi, Artemide CEO. How would you describe the Artemides aesthetic? Proportion, functionality, technology. All must meet the needs of modern living, with a functional beauty. In the past, focus in design was on the lamps themselves. Since the 90’s, focus has shifted to how and what a lamp may contribute to a person’s lifestyle. The Human Light movement changed global design. How can light make our life better? We were the first to talk about “The Human Light” in the lighting industry. When most businesses focused only on style, we investigated the relationship between lighting and well-being. Lighting is a service that supports life’s daily tasks. It also promotes energy-saving and eco-friendly lighting, which make modern life more sustainable. You’ve worked with the best creative minds in the world. What has this taught you? We’ve always worked with great architects. Starting with Vico Magistretti and Giò Ponti, we went on to work with Richard Sapper and Michele De Lucchi, Zaha Hadid, Ross Lovegrove, Jean Nouvel, Herzog & Meuron, Foster & Partners. Recently we collaborated with BIG and Tapio Rosenius. I met them one by one, and this for me was and is a great privilege. Artemide’s relationship with designers and architects is always based on mutually constructive exchange. The ability to continuously innovate comes from collaboration. The value of doing is very important. It’s not enough to attend the right school and have some interesting ideas. Design can not be taught or understood without actually doing it. Artemide just opened a new showroom in Johannesburg. What are your expectations of the South African market? In July, we announced our presence in South Africa by opening 400 m2 of space dedicated to Artemide within the Cube Gallery in Johannesburg. Local presence is critical to establish a link with local designers and professionals. An important aspect for Artemide has always been to operate directly in the markets where we want to establish: through our showrooms, our own company, distributors and agents. Of course we want to be present in new markets, but also to understand their characteristics. Customers service is a strategic aspect of brand development and our showrooms are centers of expertise and consulting. We put ourselves at the disposal of architects who design the lighting for private and public spaces. Often, from these relationships, important collaborations arise. How much do culture and living conditions affect design? What products are most suitable for South Africans? Good designs can come from local realities, but can be universally understood. For this reason we have worked with architects and designers around the world for the development of products capable of dealing with a global market. Our presence in the country should be not only commercial, but also a tool for dialogue between cultures on ‘living the light’. If you liked this article, you’ll love our business focuses on Aranda and Techogym.